*99# Banking , #99# Banking Service, USSD Based Mobile Banking, Check Bank Account Balance Offline, *99# USSD Mobile Based Banking, Mini statement and more without internet connectivity. India is gradually moving towards becoming a cashless economy, and the recent demonetization of old currency notes is serving as a catalyst in achieving PM Narendra Modi’s dream of Digital India. With the ongoing cash crunch due to shortage of new currency notes, a lot of smartphone users have already moved to digital wallets for paying at food courts, fast-food outlets and petrol pumps, or for making landline and electricity bill payments, mobile, DTH and data card refill, and more. But what about people, especially in rural areas, who don’t own a smartphone, nor have access to the internet? Well, USSD Based Mobile Banking has got them covered. How To Check & Transfer your Bank Account Balance To another account usinhg *99# Banking , Follow our simple steps to got it. The *99# USSD Based Mobile Banking aims to make mobile banking easier for rural users, especially the non-English speaking ones. USSD Based Mobile Banking is available in 11 regional languages and can be accessed in the desired language using the following short codes. 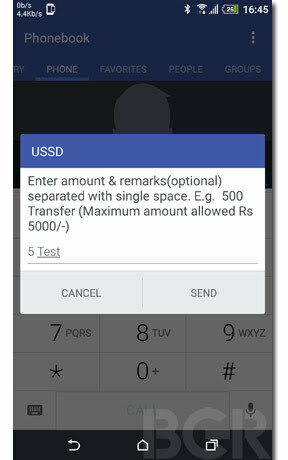 According to the Reserve Bank of India (RBI), the USSD Based Mobile *99# Banking payment method can be used for sending money as low as Rs 1, and as much as Rs 5,000 per transaction. Coming to charges, you will be charged Rs 0.50 per transaction, which will be added in your mobile bill. The service works 24 hours a day and 7 days a week. However, carriers have waived off the transaction charges till December 31. First and foremost, you need a phone, a bank account and your mobile number registered for mobile banking. In case your phone number isn’t registered with your bank, you’ll have to visit the branch and fill-up a form to register and link it with your bank account. Once that is done, you’ll have to generate Mobile Money Identifier (MMID) number. It is a random seven-digit number issued by the bank. The MMID is usually sent to you by the bank after you register for mobile banking. First Of all open the dialer app on your phone, type *99# and dial. You will see the welcome screen after which you will have to enter first three letters, or IFSC code or 2-digit bank code followed by send. In this example, I’ve used HDFC bank account to send money to my colleague using his MMID number. So, let’s see how to go about it. 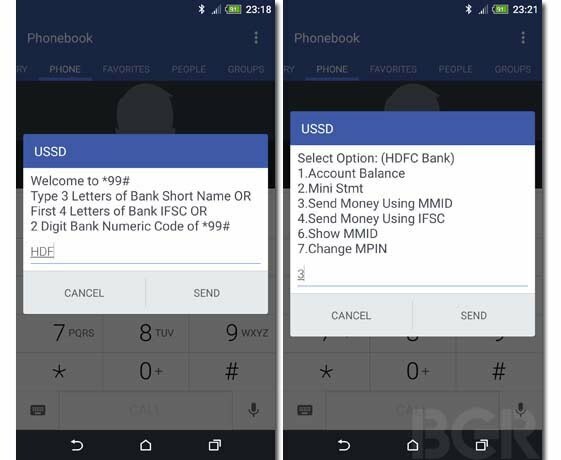 Step 1: Dial *99#, type bank name, and when the interface opens, enter 3’ and tap send. Step 2: Enter beneficiary mobile number. Step 3: Enter beneficiary MMID, which you will have to get from the person you are sending money to. Step 5: In the final step, you have to enter your MPIN to authorize the transaction and last 4 digits of your account number (separated by space), and tap on send. That’s it, once your transaction is authorized, the money will be instantly credited to the recipients account. Bro how to get mmid…? Bhai maine pehle 50’send kiya to Transaction successful hua,par bhai 2nd time 200’rs kiya to paise kat gai bank se ! Koi helpline hai kya ? Please remove this snow Effect from web page. It hangs my browser. what is MMID. How to find it. 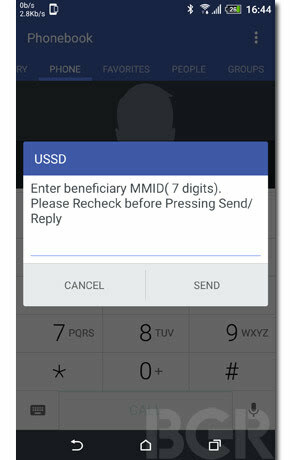 MMID is 7 digit unique number for each people, You can generate from your Netbanking or Sending SMS. And Select your bank and get Method !! Thanks Yash. I will notify this to all my village people who are all really need this. You are doing such a great work for all. keep it up. Heartly congrats. Bhai koi helpline no hai kya ? Dusre account me aaya ni ! It will be refund soon. For Contact:- Contact your Bank customer care or branch about this. I am not able to check balance. How can I register my mobile number. Contact your Bank for Mobile banking registeration. When I try to check my account balance it shows mobile no. not registered for NUUP. What should I do? 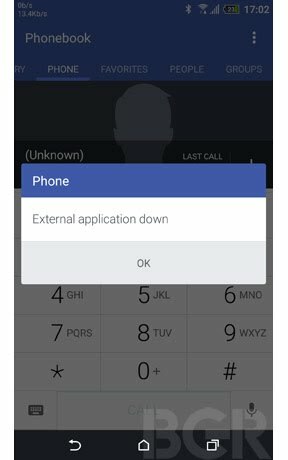 why it is showing external application down?? क्या MOBILE RECHARGE KIYA JA SAKTA HAI?